The Program Committee for the Beacon Society has completed a project to provide a list of recommended books for younger Sherlockians to enjoy and use for research purposes. 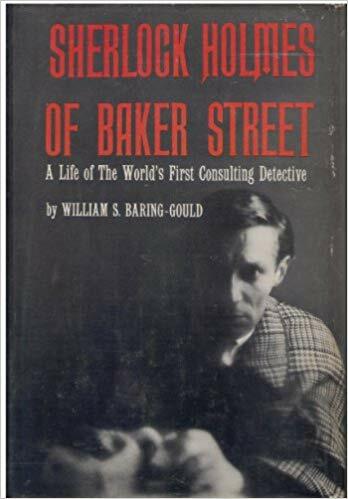 The list was compiled by surveying Sherlockian societies across the U.S., as well as Baker Street Irregulars (BSI) Society members, educators, and other Sherlockians. The Beacon Society believes this list will assist students in learning more about Sherlock Holmes and the world of 1895 Victorian London. The summaries are normally provided by the publisher to the various Book sellers, and provided on their websites. Description: The complete collection of Sherlock Holmes’s adventures in crime, including all four novels and fifty-six short stories featuring Doyle’s classic hero. Doyle’s incomparable tales bring to life a Victorian England of horse-drawn cabs, fogs, and the famous lodgings at 221B Baker Street, where for more than forty years Sherlock Holmes earned his undisputed reputation as the greatest fictional detective of all time. Description: The first Holmes story was A Study in Scarlet (1887), followed by The Sign of Four (1890), but Holmes rode the waves of popularity only after he started being featured in "The Strand Magazine" (1891). The stories were collected as The Adventures of Sherlock Holmes (1892) and The Memories of Sherlock Holmes (1894). 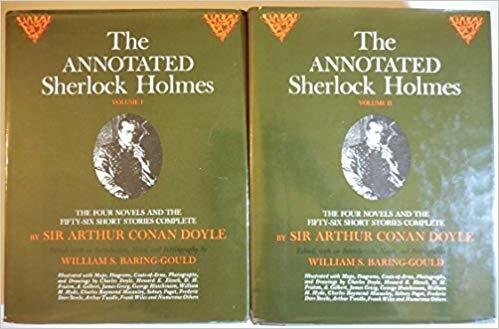 Doyle's attempt to kill off his creation was not successful and the classic detective made a comeback in The Hound of the Baskervilles (1902) and The Valley of Fear (1915) and in The Return of Sherlock Holmes (1905), His Last Bow (1917) and The Case-Book of Sherlock Holmes (1927). Description: What is the secret of a goose that swallowed a priceless blue gem? How is a woman killed when she is alone in a locked room? Why does a mysterious club only include people with red hair? These puzzles are all solved by the greatest detective the world has ever known in Mysteries of Sherlock Holmes. 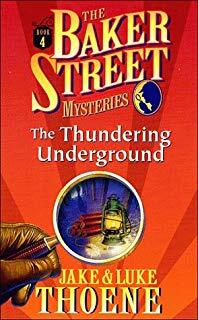 Adapted from three of Doyle's classic tales of suspense (The Adventure of the Blue Carbuncle, The Adventure of the Speckled Band, and The Red Headed League) these thrilling mysteries are made accessible to young readers in this fabulous easy to read edition. Description: No child is too young to appreciate the amazing deductive powers of the world's smartest detective. These easy-to-read Sherlock Holmes stories provide the perfect introduction to the super sleuth and his friend and assistant, Dr. Watson. Among the intriguing tales: "A Scandal in Bohemia," Holmes's first encounter with the mysterious Irene Adler; "The Red-Headed League"; "The Adventure of the Six Napoleons" and others. Description: Get ready to jump on the case with Holmes and Watson! This graphic novel series presents the thrilling adventures of the world’s greatest detective, Sherlock Holmes, and his assistant, John H. Watson. 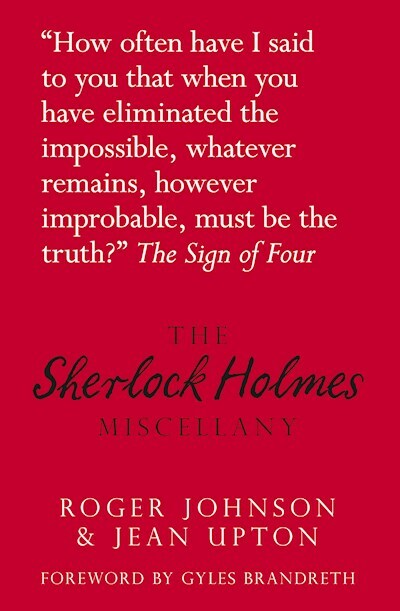 At the end of each book, readers examine the clues that helped Holmes solve each mystery. 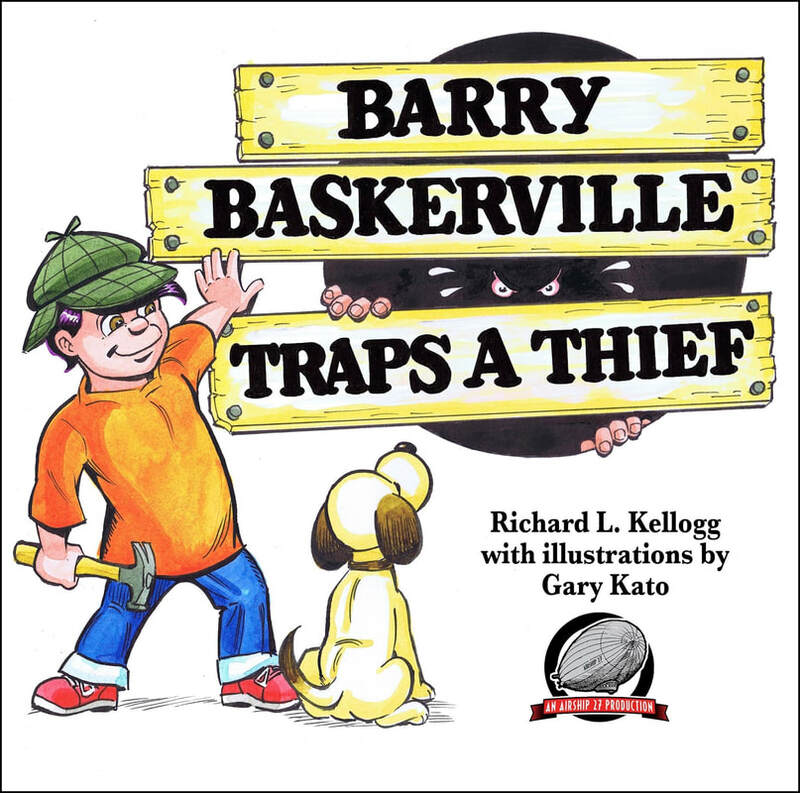 Sleuths-in-training will love matching wits with this classic character in a popular, dynamic new format. Description: Re-imagine one of Sherlock Holmes' most popular mysteries, The Hound of the Baskervilles, using the beloved Playmobil characters and figurines.This reenactment of Sherlock Holmes and the mystery of The Hound of the Baskervilles is something that readers of all ages will enjoy. Description: Doyle's most famous character is now in graphic novel adaptations! Join Holmes and Watson as they uncover clues unseen by police inspectors and solve unsolvable cases. With Holmes on the case, you can be sure adventure will follow in the Graphic Novel Adventures of Sherlock Holmes! Description: How old were you when you discovered Sherlock? As part of the Classics For Kids series, international best-selling author Mark Williams is proud to present this adaptation for children of the Sherlock Holmes short stories. Description: Through the foggy streets of Victorian London to the deepest countryside, Sherlock Holmes uses his unique powers of deduction in eight thrilling investigations, including the mysteries of 'The Speckled Band' and 'The Reigate Puzzle'. Description: From the strange case of 'The Red-Headed League' to the extraordinary tale of 'The Engineer's Thumb', Holmes and Watson grapple with treachery, murder, and ingenious crimes of all kinds. But no case is too challenging for the immortal detective's unique power of deduction. Description: In this book series, the short stories comprising The Adventures of Sherlock Holmes have been amusingly illustrated using only Lego® brand minifigures and bricks. The illustrations recreate, through custom designed Lego models, the composition of the black and white drawings by Sidney Paget that accompanied the original publication of these adventures appearing in The Strand Magazine from July 1891 to June 1892. 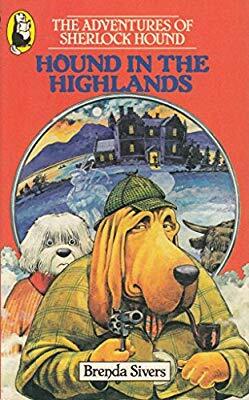 Description: A graphic novel adaptation of Doyle's mystery in which Holmes and Watson travel to the bleak wastes of Dartmoor, England to solve the mystery surrounding the late Sir Charles Baskerville and a ghostly hound. Description: Each book presents two adventures of Sherlock Holmes and Dr. Watson, each accompanied by a section identifying the clues mentioned in the story and explaining the reasoning used by Holmes to put the clues together and come with a solution. Also includes a map highlighting the sites of the mysteries. Description: Hamster Holmes and his firefly sidekick, Dr. Watt, solve mysteries together in this start to a Level 2 Ready-to-Read series, perfect for beginning readers! Hamster Holmes and Dr. Watt are the best sleuths in town! 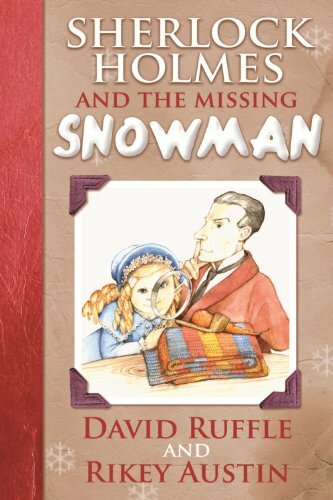 Description: A young girl's snowman has gone missing. Where can it have gone? There is only one man who can help. Holmes, the most famous detective in the world. Description: Named one of “13 Detective Book Series You Obsessed over as a Kid” by Buzzfeed.com and the inspiration for a hit Disney film, the masterful Great Mouse Detective series is available to a whole new generation of readers! Basil—the famous sleuth of mousedom—lives in the cellar of Sherlock Holmes’s house. A devoted admirer of the great detective, he has learned his craft by listening at the feet of Holmes himself. But will it be enough to help Basil solve most baffling mysteries? Description: What’s that smell in the Dell? It comes from a cheese, a great big cheese, a smelly, scrumptious cheese, if you please, made from the milk of a cantankerous cow—oh, wow! The one-horned, two-eared, three-legged Cowabunga! But the Cowabunga cheese has gone missing, and Sherlock Bones is on the case! That brainy bloodhound must use all five of his senses to track down the thief. Children will have fun following the clues in this roll-off-your-tongue read-aloud inspired by the popular children’s song “The Farmer in the Dell” and illustrated with Dorothy Donohue’s lively signature cut-paper artwork. Description: A fun-filled mystery adventure for kids of all ages. 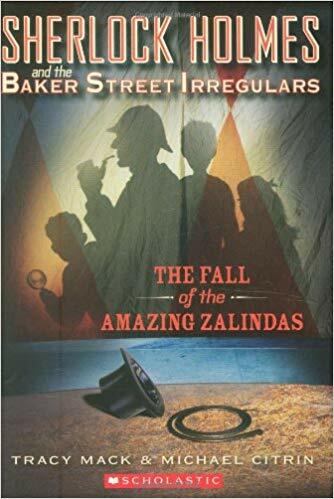 It is London, 1897, and 10-year old twin detectives, Emma and Jimmy MacDougall, assist Sherlock Holmes solve various mysteries. 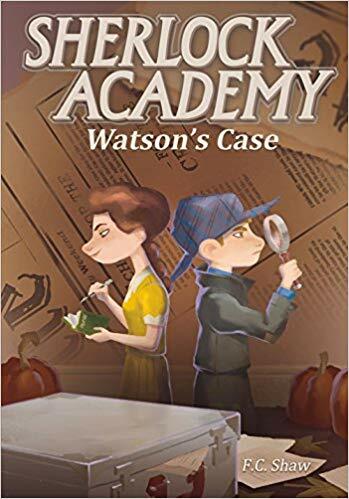 Description: Watson has barely settled into his new school, Baker Street Academy, when a classmate, Holmes, invites to help with various mysteries surrounding their school. 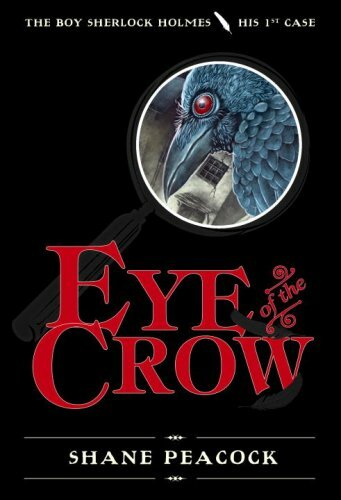 Told through Watson's blog, detective notes, school assignments, media reports, and energetic comic-strip illustrations, this introduction to Doyle's classic characters will have every young super-sleuth hooked! Description: In these books is the adventures of Sherlock Ferret, the World's Cutest Detective, who lives in rooms under Mrs. Hudson's bakery. Together with the help of his friend Watson Mouse, and his colleague Inspector Lestrade, who is a rhinoceros, and the Bakery Irregulars, Sherlock Ferret solves mysteries. Description: Joe Sherlock, a timid kid with a nose (but often not the stomach) for mysteries, has a fond respect for his namesake, Sherlock Holmes. His pesky but knowledgeable little sister (along with her Girl Chat sleepover backpack and walkie-talkie) assist Sherlock as he works his way through neighborhood cases. 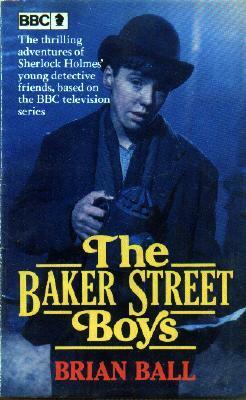 Description: The world’s only kid consulting detective is on the trail of the supernatural. Ghosts, ghouls, witches – beware because Sheerluck, his sister Watson and the atomic sprite Mycroft have your details! Description: My name is Samuel Tan Cher Lock, but I usually go by Sherlock Sam. My job? A Consulting Detective. With my grumpy robot Watson and my friends in the Supper Club, I will stop at nothing to solve your case, no matter how big or small! Description: Humphrey has always investigated things, like why Speak-Up-Sayeh was so quiet and Tall-Paul and Small-Paul didn't get along, but this is a true mystery--Mrs. Brisbane is missing! Humphrey has just learned about Holmes, so he vows to be just as SMART about collecting clues and following leads to solve the mystery of Mrs. Brisbane (and others along the way). Description: Shelby Holmes is not your average sixth grader. She's 9 years old, barely 4 feet tall, and the best detective her neighborhood has ever seen--always using logic and a bit of pluck (some might call “bossiness”) to solve the toughest crimes.When eleven-year-old John Watson moves downstairs, Shelby finds something that's eluded her up till now: a friend. Description: Digby, a London street dog, hopes he can find a crumb of food and maybe a warm place to sleep around the next corner. Instead, he finds himself face-to-face with the Great Detective himself, Sherlock! Digby is thrilled. He decides to prove his worth to Holmes by helping him solve his latest case. Description: Xena and Xander Holmes have just discovered they're related to Sherlock Holmes and have inherited his unsolved casebook! The siblings set out to solve the cases their famous ancestor couldn't. Can two twenty-first-century kids succeed where Sherlock Holmes could not? Description: On Enola's 14th birthday, her mother disappears, and Sherlock and Mycroft, Enola's brothers, conclude that her mother voluntarily left. Throughout the series, Enola solves numerous missing persons cases, while hiding from her brothers. Description: When Sherlock Holmes must investigate a mystery, he is aided by a group of street children who help him as well as one another. These ragamuffins are led by the very capable Wiggins. Description: When Holmes needs help solving some of London's greatest crimes, he calls on the Baker Street Brigade for assistance. Danny Wiggins, P.T. "Peachy" Carnehan, and Duff Bernard are able to travel freely and without suspicion throughout the city providing Holmes with all the right information to catch the bad guys! Description: John Watson doesn't feel like he really fits in as the new student at Baker Elementary. If if wasn't bad enough being the only dog, it seems he has already gained the attention of the class bully, Kyle. Out in the play yard, Watson feels even more alone until he meets a young boy named Sherlock Holmes. While quite clever, Sherlock is often so lost in his own thoughts that he is oblivious to the people around him. However, when Watson shows an interest in Sherlock's work it sparks the beginning of an adventure Sherlock never expected, friendship. Description: Teachers in disguise, secret libraries, hollow books. All these and more await 11-year-old Rollie Wilson at the mysterious Sherlock Academy of Fine Sleuths. Rollie and his friend, Cecily, are invited to attend a school where children learn the art of detection like the great Holmes. Can he use his skills to solve the mysteries? Description: A day after Imogene's obnoxious step-cousins pay a visit, her mother's pearls go missing. 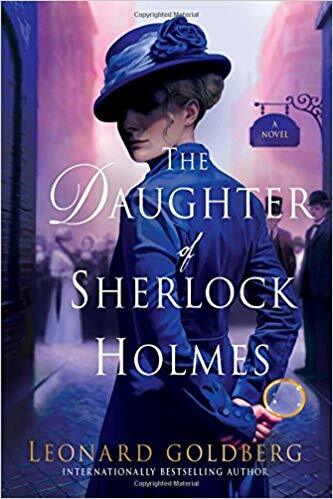 When Sherlock Holmes is called in, Imogene, harboring a secret desire to become a detective, sees her chance to learn from the great Mr. Holmes. 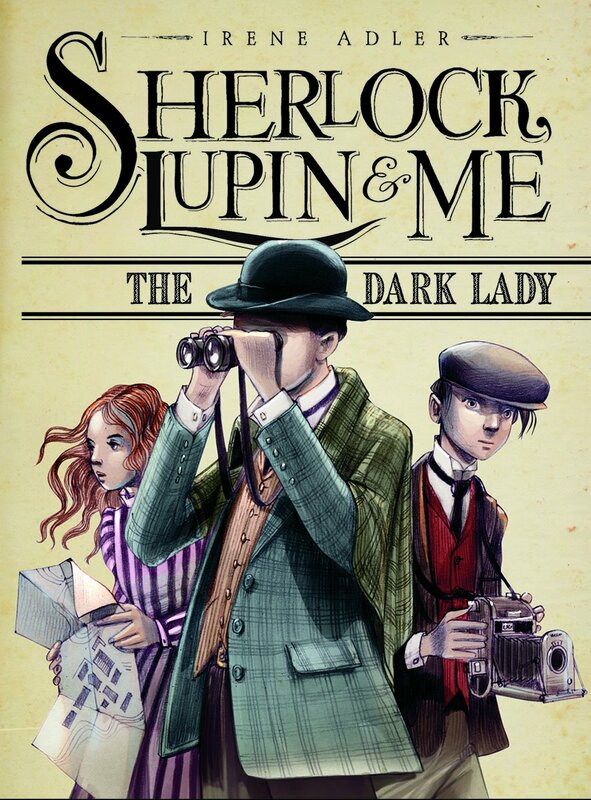 Description: Once upon a time Sherlock Holmes, Arsène Lupin and Irene Adler were children (you heard me right!). Once upon a time they were little hooligans turned accidental detectives. The young detective trio will have to put all three of their heads together to solve the mysteries. Description: The Books put Sherlock into a new situation: as a 14-year-old boy attending a private school called the Baskerville Academy. Baskerville is located outside Boston — and in the 21st century. Sherlock's personality has survived the time shift intact: He's a "brilliant boy with far too high an opinion of himself and limited social skills," as one character says. Description: The County Courthouse Caper: It’s November 1886 in the tiny frontier town of Browns Valley, Minnesota. 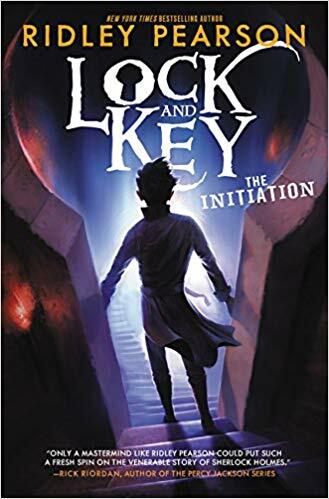 Twelve-year-old Petey Smith leads an idyllic life – until the day a stranger steps off the train and takes him on the adventure of a lifetime. The history, geography and cultural diversity of the Minnesota River Valley play a key role in this intriguing blend of fact and fiction. In Search of the Source: It’s December 1896 in the booming capital city of St. Paul. Sherlock Holmes has returned to America to attend the wedding of Petey Smith. Suddenly, there are complications: a member of Petey’s bridal party is implicated in arson – and murder. Now the two friends must race against time to solve a mystery before the nuptials can proceed. Description: It is the summer of 1870 in London, and death seems to be everywhere; at least it feels that way to Sherlock Holmes. Almost 17 now, he cannot shake the blackness that has descended upon him: he has lost his dear father; his mentor, Sigerson Bell, is growing gravely ill; Irene Doyle, the object of his affections, has left for America; his longtime admirer, Beatrice Leckie, has chosen another suitor; and the death of the great Charles Dickens fills the city with an impending sense of doom. Description: Like Holmes, Solar Pons has prodigious powers of observation and deduction, and can astound his companions by telling them minute details about people he has only just met, details that he proves to have deduced in seconds of observation. The Pons stories are narrated by Dr. Lyndon Parker. The actual Sherlock Holmes also exists in Pons's world: Pons and Parker are aware of the famous detective and hold him in high regard. Description: The year is 1868, and Holmes is 14, but he’s already solving some serious mysteries. In this mystery series, we witness Sherlock’s true education in detection, as he discovers the dastardly crimes of some brilliantly sinister villains. 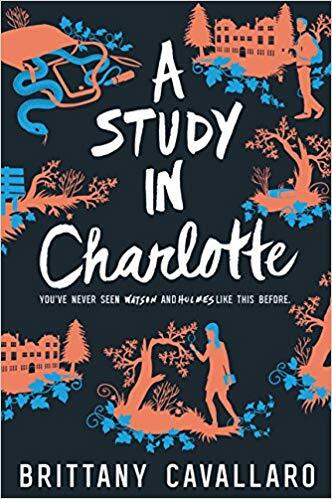 Description: Jamie Watson has always been intrigued by Charlotte Holmes; after all, their great-great-great-grandfathers are one of the most infamous pairs in history. But the Holmes family has always been odd, and Charlotte is no exception. She’s inherited Sherlock’s volatility and some of his vices—and when Jamie and Charlotte end up at the same Connecticut boarding school, Charlotte makes it clear she’s not looking for friends. 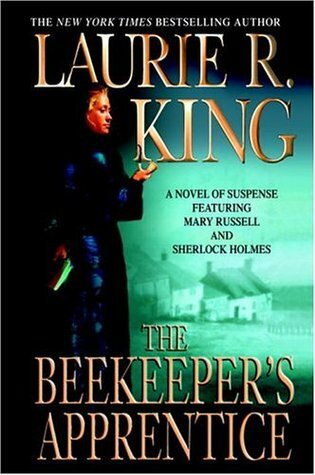 Description: Fifteen-year-old Mary Russell (she was born on 2 January 1900), who runs into a middle-aged individual she realizes is, in fact, Sherlock Holmes - the former consulting detective of Baker Street, now retired to Sussex, where he keeps bees. Holmes takes her on as a protegee, teaching her his methods for deductive reasoning. Description: Miss Irene Adler, the beautiful American opera singer who once outwitted Holmes, is also a superb detective, as Oscar Wilde and Bram Stoker can attest. Even Holmes himself must admit that she acquits herself competently. 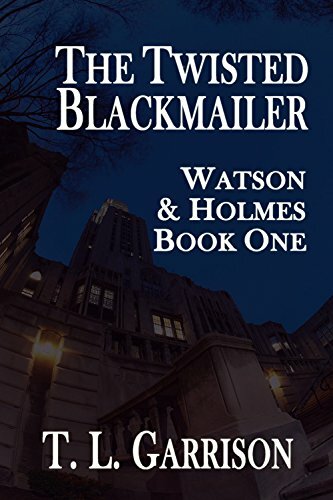 Description: A thrilling tale of the great detective’s daughter and her companion Dr. John Watson, Jr. as they investigate a murder at the highest levels of British society. Joanna Blalock’s keen mind and incredible insight lead her to become a highly-skilled nurse, one of the few professions that allow her to use her finely-tuned brain. Description: This series combines "historical" fiction and a good mystery. 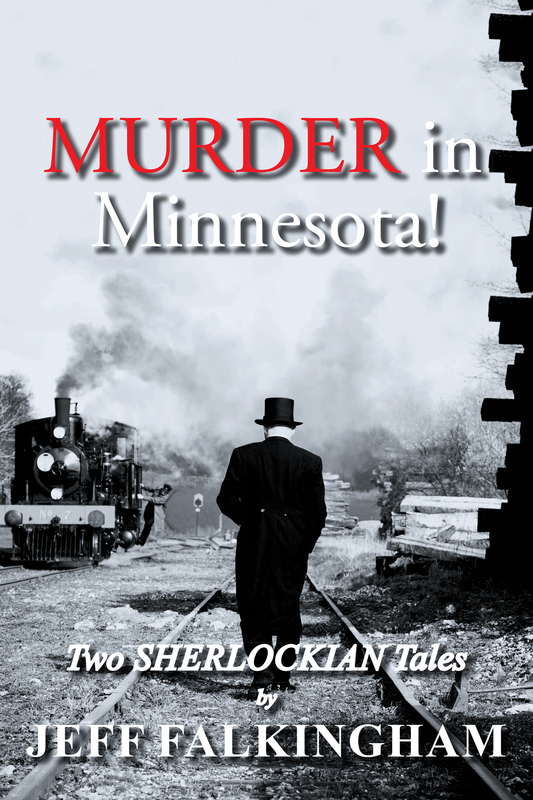 The author, a journalist for the St. Paul Pioneer Press, weaves historical events from around the State of Minnesota into the mysteries. 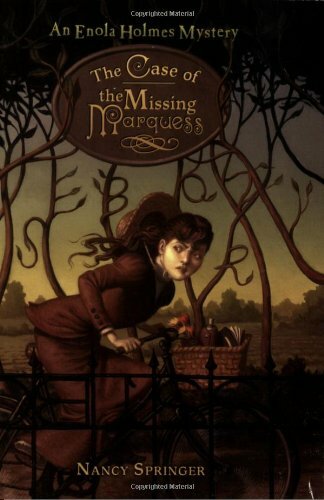 Description: Evaline Stoker and Mina Holmes never meant to get into the family business. But when you’re the sister of Bram and the niece of Sherlock, vampire hunting and mystery solving are in your blood, so to speak. Description: Inquisitive and observant, Dora dreams of escaping her aristocratic country life to solve mysteries alongside Sherlock Holmes. 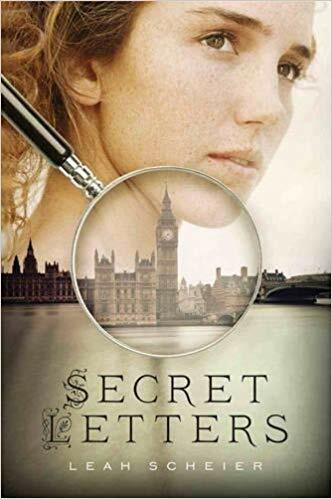 So when she learns that the legendary detective might be her biological father, Dora jumps on the opportunity to travel to London and enlist his help in solving the mystery of her cousin’s ransomed love letters. But Dora arrives in London to devastating news: Sherlock Holmes is dead. Description: Nothing's ever easy when Sherlock Holmes is involved. Joanna Watson needs sports and academic scholarships if she is going to make it all the way to med school. That means keeping out of trouble, and her school record squeaky clean. But upon befriending the mysterious New Girl, Joanna has her perfect record ruined, skips school for the first time in her life, and finds a blackmailer aiming a gun in her direction. All she knows is that she's going to get grounded... if they get out of this alive. Description: The story of a young teenage boy who adopts a dog from the pound. 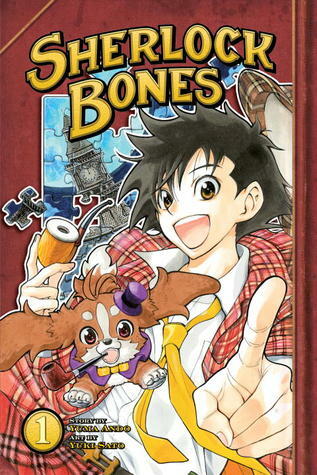 Once the young boy discovers that his dog can talk with his grandfather's old pipe, they go on adventures and solve crimes. 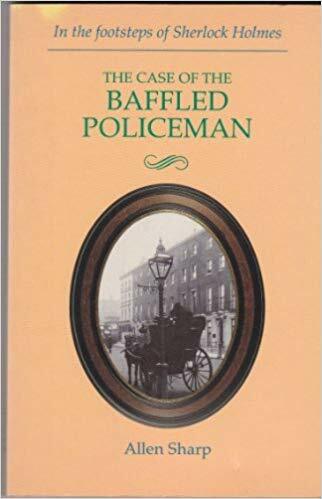 Description: Late Victorian London: home to gas streetlights, bands of ragged urchins, and now, young Andrew Craigie, who recently arrived from a tiny Cornwall village with his stern guardian, Mr. Dennison. At first the city feels dark and unwelcoming, but just around the corner is bustling Baker Street, where Andrew meets his first friend, Sara. Before long, London becomes downright interesting. Description: Based on a series originally screened on television. 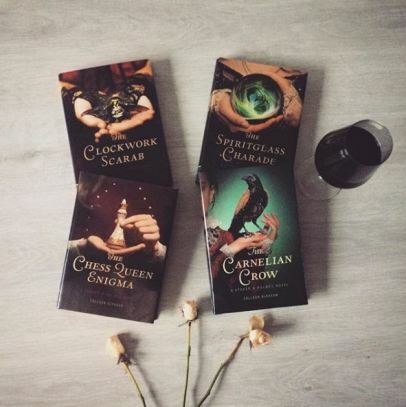 An ideal series to encourage students to read - both historical and exciting. Description: Barry Baskerville was one of the strangest boys in his hometown of Watsonville. Most of the boys in his class wanted to be astronauts, truck drivers, or cowboys. Barry thought that was silly. He was determined to become the world's most famous detective. He wanted to be just like Sherlock Holmes. Description: Dan, Liz, Jeff and Mickey name themselves after the famous helpers of Sherlock Holmes but they get more than they bargained for in several mysteries, including finding themselves up against organized crime. Description: These mystery gamebooks allow the reader to enter the world of Sherlock Holmes, though they don't allow control of Holmes himself – he is merely a character who sometimes shows up during play. Description: This friendly guide offers a clear introduction to this beloved figure and his author, Sir Arthur Conan Doyle, presenting new insight into the detective stories and crime scene analysis that have has made Holmes famous. You'll find easy-to-understand yet thorough information on the characters, recurring themes, and locations, and social context of the stories, the relationship of these stories to literature, and the forensics and detective work they feature. You'll also learn about the life of the author. 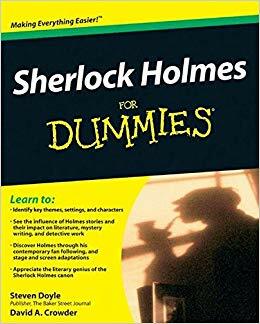 Sherlock Holmes For Dummies is an indispensable guide for students and fans alike! 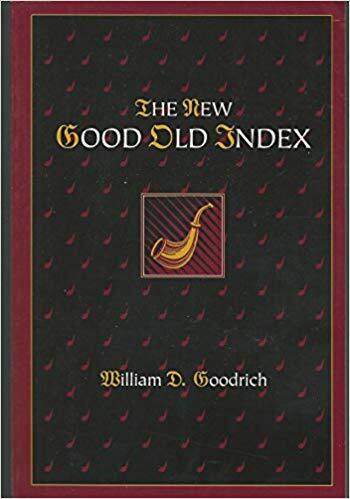 Description: Illustrated throughout with more than 150 pictures ranging from period engravings and book jackets to modern-day location shots and film stills from TV adaptations, this is a compendious guide to all the stories, their author and the enigmatic pipe-smoking creation at their heart. Daniel Smith's witty and informed text provides plot summaries of every single Sherlock Holmes story, potted biographies of Holmes, Moriarty, Watson and of course Conan Doyle. Description: Prominent Sherlockians have collected all of the facts, trivia, and quotes that remind readers why Sherlock Holmes is such an important literary creation. Exploring the fascinating and enigmatic world of Holmes, this miscellany examines his place in literary history, his popularity, and how he has become the iconic, timeless character who is loved by millions. Description: Here, in two volumes, is every word that Sir Arthur Conan Doyle (1859-1930) ever wrote about the adventures of the detective and the doctor... fifty-six short stories and four complete novels, arranged chronologically from Holmes's first case, in 1874, when he was a university student, to his signal service to the British Empire in the opening days of the First World War. Description: The publication of Leslie S. Klinger's brilliant new annotations of Doyle's four classic Holmes novels in 2005 created a Holmes sensation. Klinger reassembles Doyle's four seminal novels in their original order, with over 1,000 notes, 350 illustrations and period photographs, and tantalizing new Sherlockian theories. Whether as a stand-alone volume or as a companion to the short stories, this classic work illuminates the timeless genius of Conan Doyle for an entirely new generation. Description: This book sets out to capture the life and times of the great detective. Over 1500 entries are arranged alphabetically, providing synopses of every case in the stories and novels. 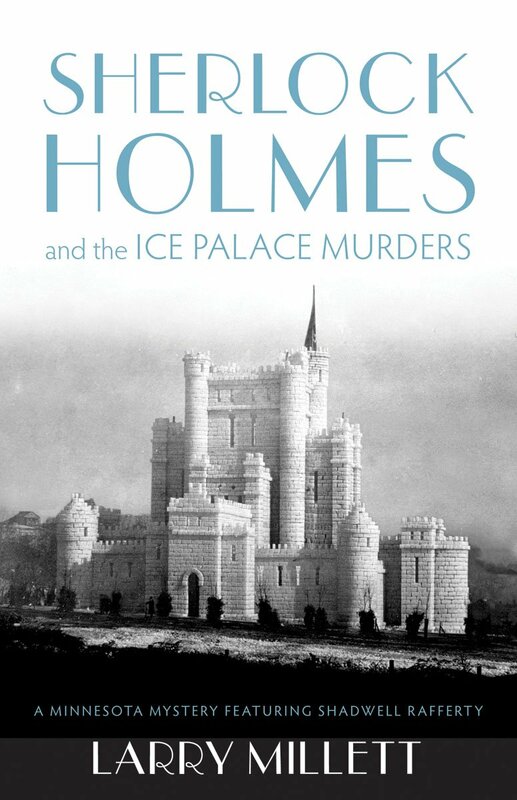 Included are profiles of notable figures; descriptions of the real cases which inspired Conan Doyle; methods of murder and detection; and detailed descriptions of every film, radio and television production. Aliases, disguises and codes are revealed. 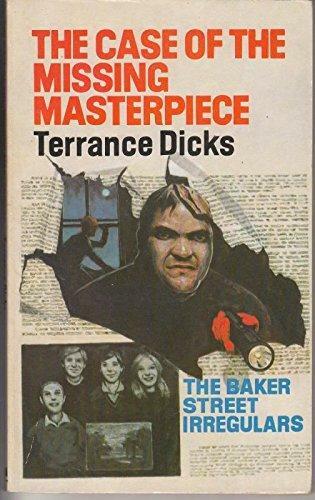 Description: Winner of the 1999 Edgar Award for Best Biographical Work, this is "an excellent biography of the man who created Sherlock Holmes". 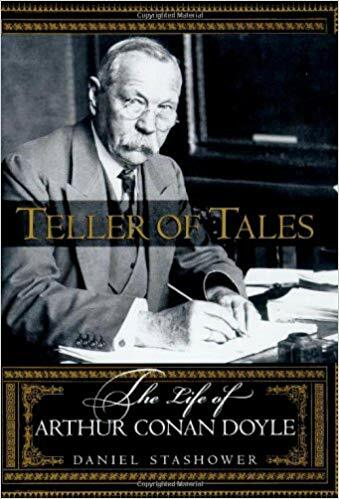 This fresh, compelling biography examines the extraordinary life and strange contrasts of Doyle, the struggling provincial doctor who became the most popular storyteller of his age. From his youthful exploits aboard a whaling ship to his often stormy friendships with such figures as Harry Houdini and George Bernard Shaw, Doyle lived a life as gripping as one of his adventures. 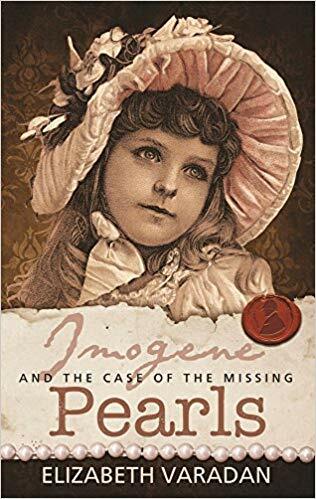 Description: Winner of the Agatha Award for best nonfiction work. 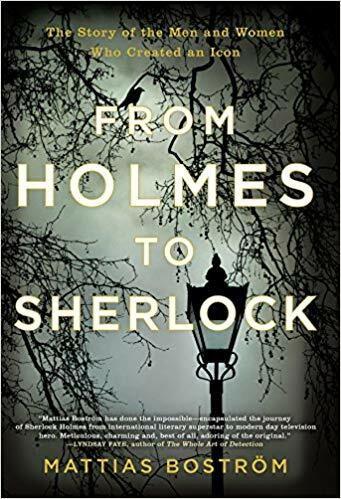 In From Holmes to Sherlock, Boström recreates the full story behind the legend for the first time. 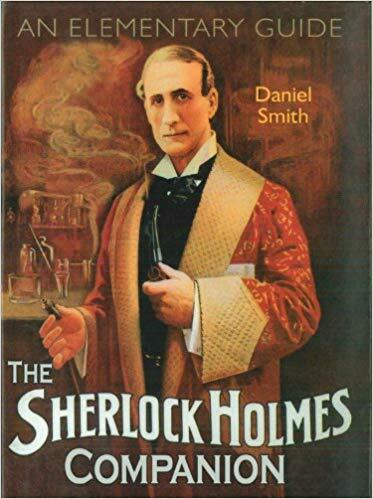 From a young Doyle sitting in a lecture hall taking notes on his medical professor’s powers of observation to the pair of modern-day fans who brainstormed the idea behind the TV sensation Sherlock, from the publishing world’s first literary agent to the Georgian princess who showed up at the Doyle estate and altered a legacy, the narrative follows the men and women who have created and perpetuated the myth. Told in fast-paced, novelistic prose, From Holmes to Sherlock is a singular celebration of the most famous detective in the world—a must-read for newcomers and experts alike. Description: Now you can follow in the footsteps of Holmes and Watson in and around London. Recaptured in sepia prints from the late Victorian era and stunning full-color photographs of the city as it is today, you walk down the same streets as Colonel Sebastian Moran, the Baker Street Irregulars, and the Greek Interpreter. 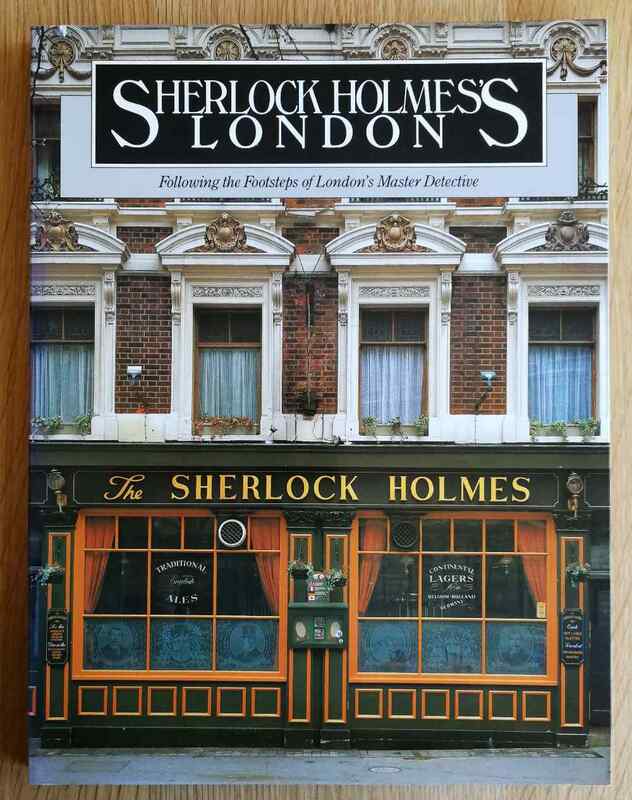 Holmes fans and armchair travelers alike will rejoice with this full-color photographic odyssey through the London of the world's first consulting detective. 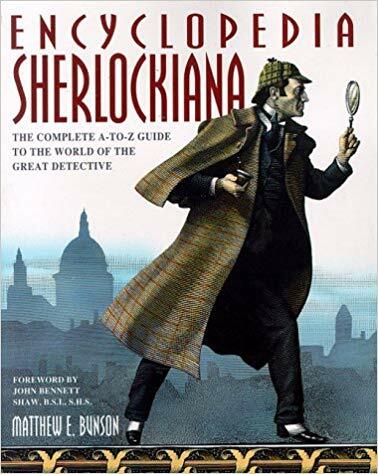 Description: In this essential and authoritative A-to-Z dictionary of the world's greatest detective can be found literally every person, place, and thing associated with Sherlock Holmes. 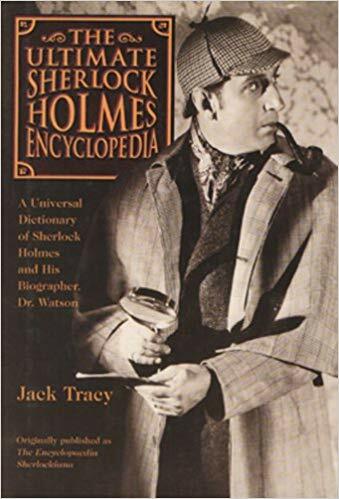 With more that 3,500 main entries, 8,000 stories citations, an exhaustive system of cross-references, and nearly 200 illustrations, this is an important volume for all who have consulted with the Master, as well as for anyone anticipating the excitement of that first visit to 221b Baker Street. 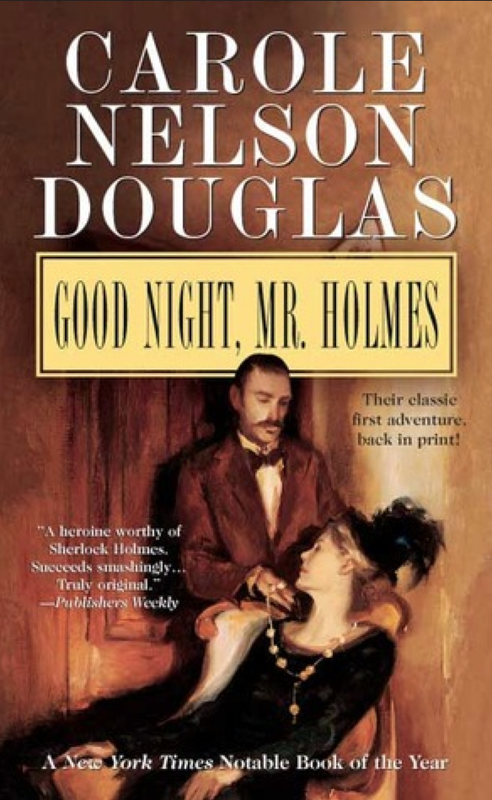 Description: This biography of Holmes is brilliant from start to finish. 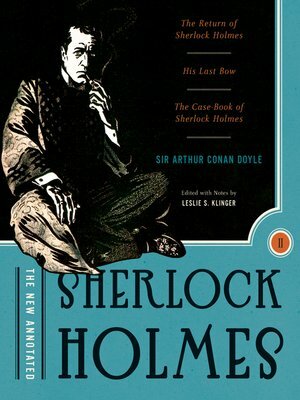 The book assembles the details of Holmes's life from isolated references in the canonical stories. It's a great classic, and useful to writers of the Sherlock Holmes mystery genre.